From Netflix to Dollar Shave Club, some of the best businesses on the planet are winning over consumers with subscription based pricing. 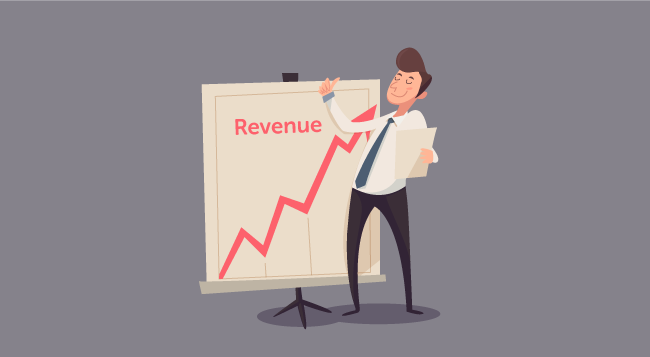 And, if you think that subscriptions are best left to software as a service (SaaS) businesses – like Dropbox, Freshbooks, and Hatchbuck – you’re missing out on a business model that can increase revenue for your marketing agency. In a subscription-based pricing model, consumers benefit from the ultimate convenience of set-it & forget-it products and services delivered when and where they need them. At the same time, subscription-based businesses benefit from predictable, scalable revenue and better customer retention. If your agency spends too much time scrambling to find new clients or staff new projects, moving to a subscription based pricing model can help you build a healthier business that serves a more satisfied customer. Predictable Revenue: Project-based work can be a chaotic roller coaster. One minute you’re scrambling to find your next client. The next moment, you’re hit with a big project and struggle to ramp up staff. With a subscription-based model, you have steady revenue from your client base month after month. You can focus on delivering stellar campaigns instead of focusing on business development or coordinating the outsourcing of work. Steady Staff: Staffing your agency can be quite tricky if you’re working on a project-by-project basis, and you may have to turn to contract employees to help you scale up or scale down as project work ebbs and flows. A predictable budget through subscription-based work ultimately means that you can hire and keep key talent to serve your steady clients, helping your agency to deliver a better product. Better Work: While there’s plenty of good freelance and contract workers out there, outsourcing can dilute your company’s vision and core values, affecting the product you put on the market. When you transition to a subscription model, your core team is made up of full time employees. Your team members feel more ownership of their work, they better understand the mission and vision of your agency, and you have more control over employee performance. Client Retention: When everything is project based, it’s tough to reject work because you can never be sure when your next project is coming. As a subscription based agency, you can be more picky about the clients you bring on. When you do bring on a new client, you can elevate the conversation to talk about their overall business goals – not just the goals of a specific project. And, because you’re well-staffed, your client gets a dedicated team that really knows your client’s business and can deliver better results, keeping clients happy and loyal for the long-haul. For the same reasons businesses prefer investing in SaaS – from easy maintenance to managing cash flow – clients love a subscription approach to working with an agency. Institutional Knowledge: A subscription gives your agency the ability to form long term relationships with your clients. You get to know their business and their ideal buyer inside-out, so when the time comes to execute a new campaign, you can skip the introduction call and get right to business producing better results for your client. Big Picture Ideas: Because you’re working together long-term, the focus becomes less about the net results of a single campaign, and more about moving the client’s business forward. Agility: If something’s not working, an agency can adjust the strategy to get the win for the client. So, when SEO doesn’t seem to be paying off, you can move efforts to content marketing for a time to get the ultimate ROI for the client. Cash Flow: Instead of shelling out a lump sum for a one-off project, your clients have a steady, predictable monthly fee. This also means that they’ve budgeted to spend on marketing every month, making marketing a core function for their business rather than a one-off project. Less Work for a Better Product: Switching anything is tough, whether it’s your mobile data plan or your sales and marketing software. But switching from agency to agency can be especially excruciating for clients. It takes time for you to understand your client’s goals, their culture, their ideal buyer – it takes time to build a good working relationship. Clients win when they can stick with one agency and get a dedicated staff for their account. So now that you know that the subscription based pricing model is good for agencies and clients, how do you make it happen for your marketing agency? To move from a project-based to a subscription-based model, you might need to think a little differently about how you position your agency. Here are a few key areas to look at when switching to a subscription-based model. Think big picture: In a subscription model, stickiness is important. To keep your services sticky for your client, focus on your client’s overall business goals, not just deliverables for a specific campaign. Bundle your services: One digital strategy often fuels another, so if you can offer content marketing services with SEO, or landing page design with PPC, you can add more value to your client. Don’t forget to bundle sales and marketing software with your services. Managing a marketing automation tool and CRM for your client gives them insight into the results your campaigns are driving. Leverage reports: So you ran an email campaign for your client. That’s great, but what are the results, and how did you move the client closer to their goals? Reporting shows your value and feeds into the stickiness of your service. Monthly reporting can tie your work back to the business goals you kicked off with your client at the beginning of your relationship. Test pricing: If you take the set-it & forget-it approach to your pricing, you could be missing out on revenue. By testing your pricing, you can find the maximum amount clients are willing to pay. Move the needle on your subscription pricing and with a little testing, you can make sure you’re receiving the maximum ROI on your services. So how do you put these tips into practice? For instance, if you build WordPress sites, how do you turn that single project into an ongoing subscription service for your client? In this case, you could bundle web design with SEO and marketing automation. Once the website is built, you can continue to demonstrate value to your client by driving leads to their website, capturing those leads in the client’s CRM and nurturing them into customers through marketing automation. Every month, you can track how many leads you drove and nurtured into customers, showing your client directly how you’re impacting their business. Consumers are happily making the shift to subscription-based services – and the marketing industry is no exception. Leveraging subscription-based pricing for your agency means you can build a platform that puts people before projects, creating sustainable revenue, loyal clients, and a scalable business.